The Blood Plague is a new mechanic added to State of Decay 2 that can be deadly to your community if you don't act fast to cure it. When you start the game, you are introduced to the mechanic straight away when one of your survivors contracts it, causing you go to explore the area in order to find the materials needed for the cure. But what is the Plague? How can you stop other characters from falling to the disease? And more importantly, how do you exactly cure it? How does a character get the Plague? A player can contract the plague by taking too much damage from a plague zombie, one of the new enemies in the State of Decay series, or by remaining near a Plague Heart for too long. How do I cure the Plague? The Plague can only be cured by a Plague Cure. This item is craftable in an infirmary at a home base with Plague samples that you can get by killing Plague Zombies or by destroying a Plague Heart. What is a Plague Heart? A Plague Heart is a structure found on the map that spawns hoards of Plague Zombies. These structures can be destroyed to reduce the amount of Blood Plague and Plague Zombies in the area. How do I find and destroy Plague Hearts? Plague Hearts can be found in areas with a dark red aura around a building. You can also notice them from a lookout point. 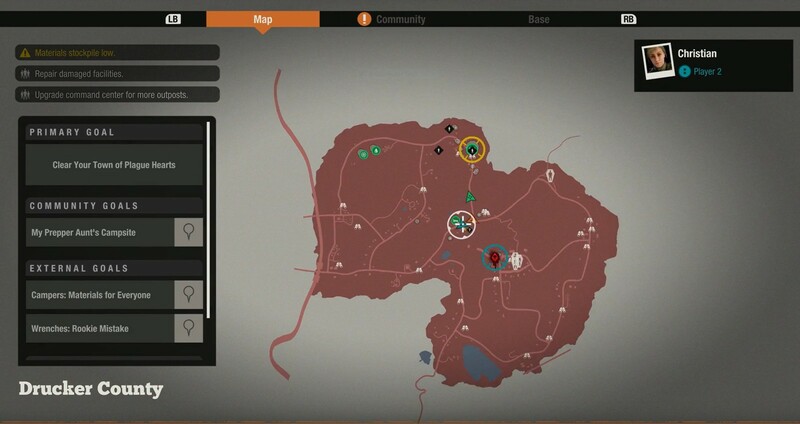 Once found, a Plague Heart will appear on the map as a bright red marker. Plague Heart locations are also hot spots for a lot of Plague Zombies, so if you see a large crowd of them, chances are a Plague Heart is nearby. Unlike most enemies and structures in-game, however, Plague Hearts cannot take damage through ranged or melee weapons. The only way to destroy these cursed objects is with explosives that can be found in houses or crafted at a home base in a workshop or armoury.